In a beautiful ceremony, today at long last, I officially became a member of the Order of the Cloud Serpent! Why should you care? Well, first of all, thanks so much for being so supportive. 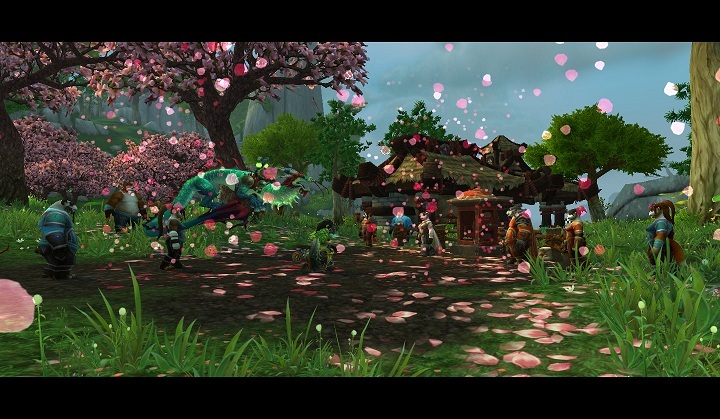 It’s not like I had a wicked sweet mount I really wanted to use that I couldn’t without Cloud Serpent Flying. Because druids use mounts, ever. Alright alright, this isn’t just a post to talk about how awesome I am. If you really closely, in the bottom right corner, you’ll be able to see why I undertook this thoroughly annoying grind. 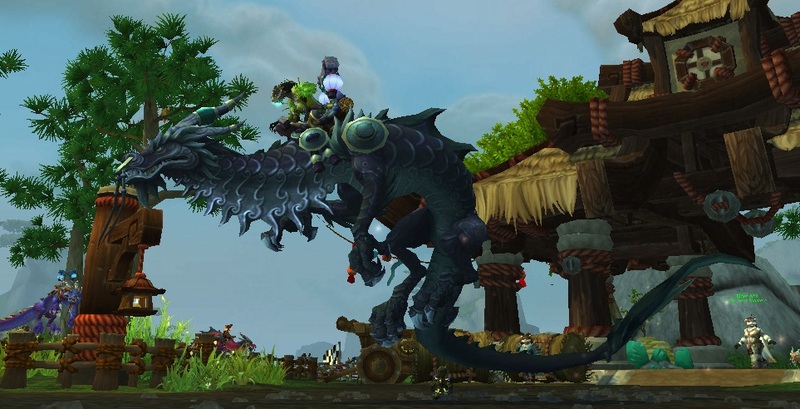 There are 3 different colors of wild cloud serpent hatchlings, and they only appear as battle pets after you have exalted reputation with Order Of The Cloud Serpent. If you go over there otherwise, it’s just a bunch of frogs and moths. You have to repeat this rep grind for each character you’d like to fight the cloud serpents on, which should be completely shocking for those of us who have played through Pandaria up to this point. 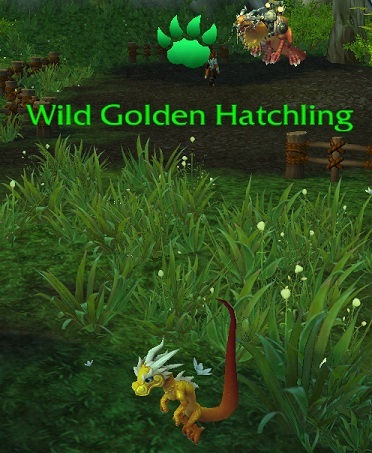 The Golden and the Jade Hatchlings are pretty much identical in function. As discussed before in the entry about my clockwork gnome, they make good buff pets with mechanicals and pets with a lot of DoT and multi-attack spells because of their Call Lightning ability. If you’ve fought Grand Master Tamer Aki or the Burning Pandaren Spirit Tamer, you’ve seen all 6 of these guys’ abilities in action already with Stormlash and Crimson respectively. 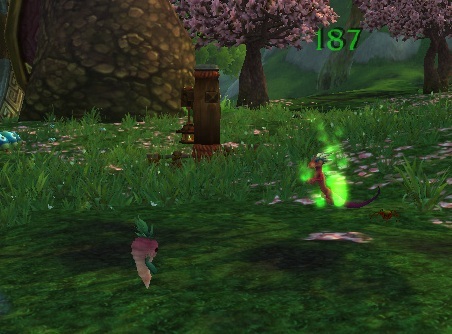 The Crimson Hatchling is different from the previous two, but has a move set identical to the Spawn of Onyxia wild pet. Most notably the heal and huge nuke, which makes this a rather annoying pet to tame. If you’d like to tame these, there are a couple things to watch out for. First of all, with Cloud Serpent rep, make sure to go make a few passes around Windward Isle, especially if you’re in the area around server restart time. You can net a ton of rep just from looting onyx eggs. 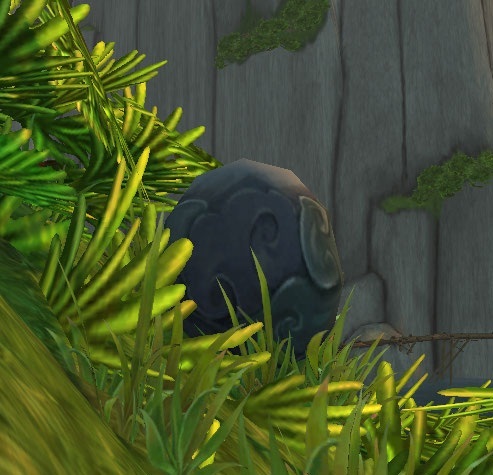 Since we’re so deep into the expansion, there is frequently at least one spawned when I go look. I barely even needed to do dailies with a pass a day. As mentioned above, the Crimson Hatchling in particular is kind of a pain to tame. For these guys I brought out my turnip, my tanky crab, and a level 20-ish pet to grind XP. I didn’t go higher just in case I zoned out and did foolish things, because that never happens. There must be some other reason. But if I did, hypothetically, the 20-ish pet should be able to finish out the last battle pet in the trio after a couple turns. All the battle pets in this area share spawns, and they have that thing going on where you can only have so many pets in one area, so if you’re looking for a specific rare you should summarily dispatch the moths and frogs in the middle first, then fight the hatchlings while you’re waiting on repops. This entry was posted in Uncategorized and tagged Cloud Serpent, daily, reputation, tamed on March 15, 2013 by Liopleurodon.